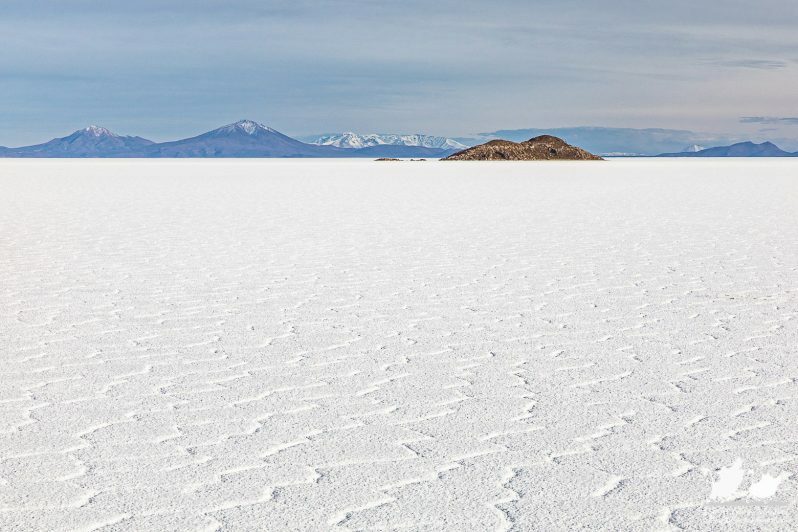 We were very lucky that our Salar de Uyuni to San Pedro de Atacama tour with Ruta Verde only started on our third day as it was very cloudy for the first two days. 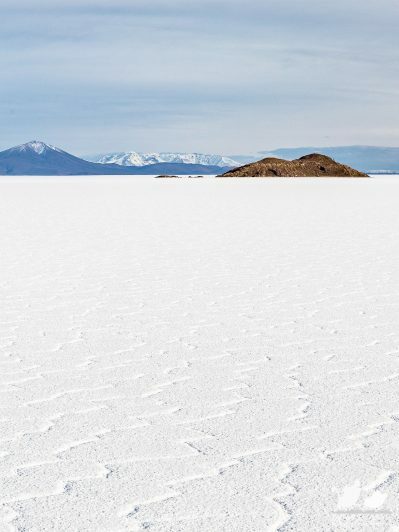 So we relaxed in our nice salt hotel and hoped for better weather. We decided to book a private tour to have (at least partially) heating and hot water at night and the door-to-door transfer instead of getting dumped somewhere at a bus stop. 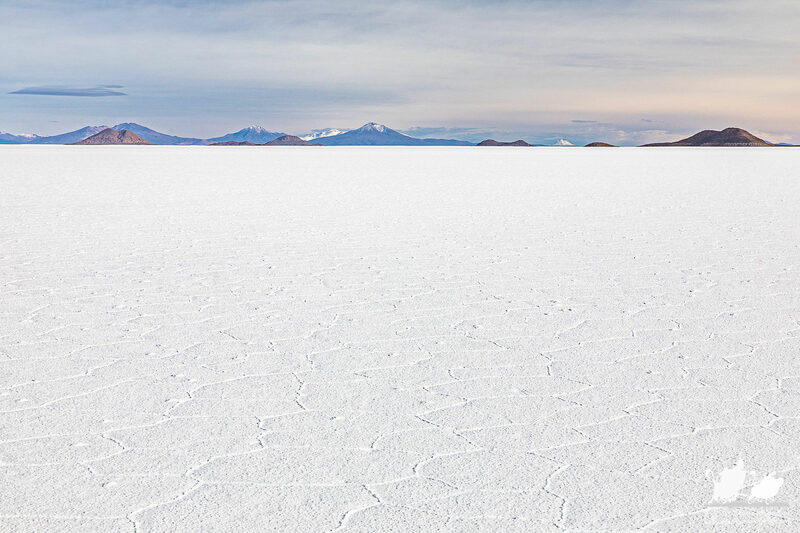 The first 1.5 days we spent in the Salar – so awesome! 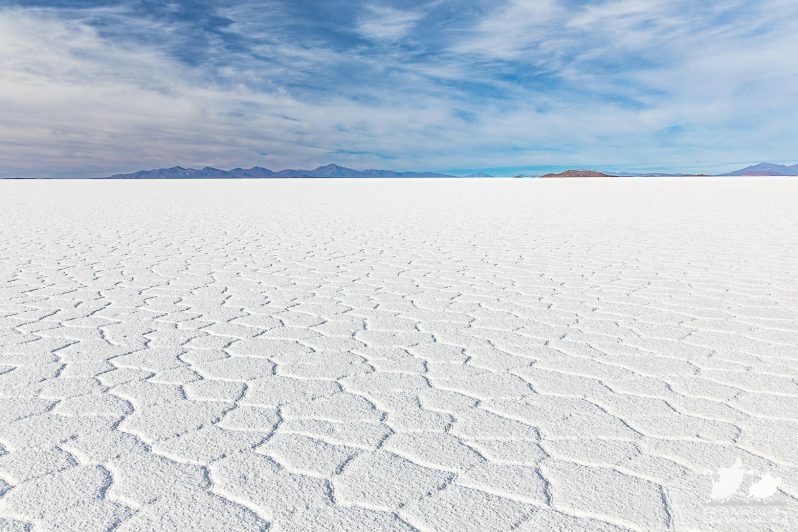 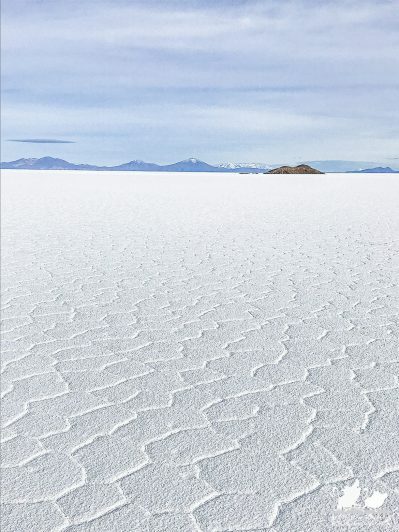 It’s the world’s largest salt flat, with 12’106 sq km. 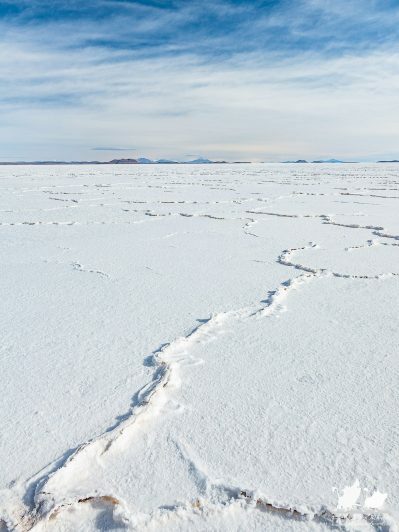 With a salt crust a few meters thick, it’s pure white, with blue skies and puffy clouds it seemed to go on forever. We still had some water left from the rain season, so we also got the mirror effect in the shallow puddles.